Grapefruit is sour and slightly bitter to taste and is a storehouse of minerals, vitamins and antioxidants. It is available in different colors like pink, white and red. Consuming grapefruit regularly keeps you away from a lot of diseases. Grapefruit is excellent for a healthy skin as it is a rich source of Vitamin A and C, minerals and antioxidants. You can also use grapefruit as a mask to improve the texture of your skin. Vitamin C and antioxidants in grapefruits protect your skin from pollution, smoke, dust and other environmental problems. It also help in enhancing the collagen production and keep your skin soft and smooth, providing elasticity to your skin. The presence of potassium in grapefruit smoothens the wrinkles and age spots and protects the skin from UV rays of the sun. The amino acids in grapefruits provide firmness to the skin and make it smooth and rejuvenated. Being a rich source of Vitamin C, grapefruit helps in providing you a healthy and strong hair. Grapefruit juice increases the blood circulation in the scalp and helps in better growth of the hair. Calcium, which may build up the cartilage at the joints, often leads to arthritis. Salicylic acid present in grapefruits helps in breaking down this calcium and thus help in preventing arthritis. So make it a habit to drink grapefruit juice daily to protect ypu body from arthritis. If you mix apple cider vinegar to the juice, it will be more effective. You can reduce the level of cholesterol in your body by consuming grapefruits daily as it is rich in antioxidants. Include grapefruits daily in your diet and it can greatly reduce he cholesterol level in your body, up to about 15%. It is especially beneficial for those who do not like to take any medicines for reducing cholesterol level. Grapefruit is good for a healthy heart and lowers the risk of heart diseases. If you have bleeding gums, consume two grapefruits daily and the problem will be treated. If you drink 1 litre of grapefruit juice daily, you can reduce the formation of kidney stones. Vitamin C present in the juice increases the rate of secretion of citric acid, which in turn reduces the formation of calcium stones in the kidney. Grapefruits contain a number of antioxidants and phyto nutrients that help in removing all toxins from the liver and cleansing it. 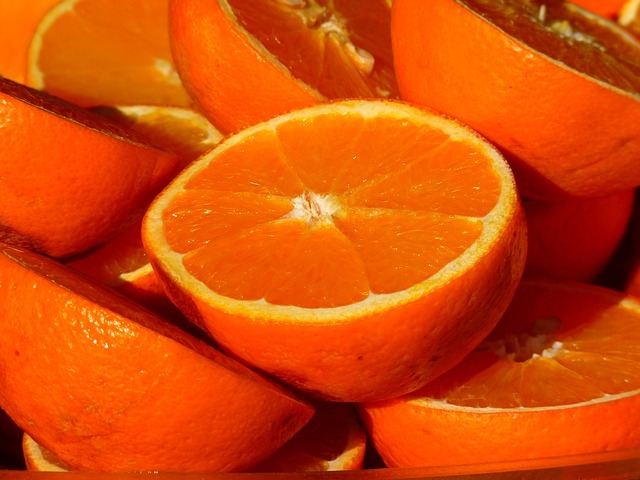 Vitamin C is beneficial in preventing respiratory problems and in treating asthma. Grapefruits are rich in vitamins and minerals, and help to solve respiratory problems and enhance the immunity power of the body. Grapefruit is rich in flavonoids which protect the body from carcinogens that cause cancer and fight infections. The high level of pectin present in this fruit prevents the mucous membrane of colon from getting exposed to toxic substances and also increases the production of new and healthy colon cells. Having about 6 ounces of grapefruit juice daily keeps you away from colon cancer. This fruit is also good for promoting digestion. Vitamin A is present in high amounts in grapefruit and this helps in keeping the mucous membrane and the skin healthy. This, along with flavonoids, helps in preventing oral cancer and lung cancer. The damaged DNA in prostate cancer cells can be repaired by naringenin present in grapefruits. Thus it helps in preventing prostate cancer by preventing the multiplication of cancer cells. Lycopene, which is responsible for giving the red color to grapefruit, acts as a scavenger and removes free radicals that are involved in the production of cancer cells. lycopene is more active in the presence of Vitamin A and C, both of which found in grapefruit. So consume grape fruit and stay away from cancer. Grapefruits help you to protect your body from various illness and diseases. This is because of the presence flavonoids present in grapefruits, which fight with infections. Grapefruits are rich in beta carotene, which is very beneficial for healthy eye and to improve your vision. Having one grapefruit daily can greatly reduce the problems causes due to eye strain and ageing, and helps to maintain a good vision. This fruit is a rich source of various antioxidants that improve your vision. Grapefruit is very beneficial in maintaining a normal weight and in losing excess fat from the body. Almost all weight loss diet plans include grapefruit for daily consumption as they help in losing weight in a healthy way. This fruit helps in lowering the levels of insulin in the body. So, instead of converting sugar into fat and storing it in the body, grapefruit helps in using it as a fuel. So the weight of the body is lowered significantly. Grape fruit is also low in calories. 100 gm of this fruit contains only 42 calories. So it helps in losing weight and is one of the best options to have when you are on a weight loss diet. It is full of water soluble fibers and has high water content. As a result, consuming them keeps your stomach full, preventing you from overeating. Grapefruit is rich in enzymes that help in cutting down the excess fat in your body, and is low in sodium. Grapefruits prevent the absorption of carbs by the body. Having one glass grapefruit daily helps in the burning of stored fat in your body. If you consume one grapefruit daily, it will help you lose weight effectively.